Are you looking for a way to heat your home more efficiently? 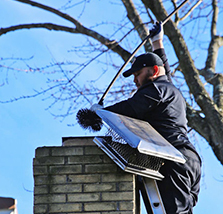 Look into our chimney cleaning services. 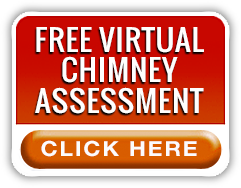 Turn to our experienced chimney repair contractors to make your structure last for years to come. Protect your family from harmful gases. 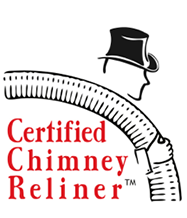 Talk to our professionals about the benefits of chimney lining. Chimney covers not only prevent rain from getting into the chimney top but also birds, animals, and debris. 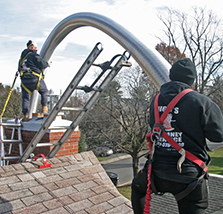 Welcome to High’s Chimney Service, Inc.
We've spent more than 30 years building the perfect chimney company. Take two minutes and see if you don't agree. 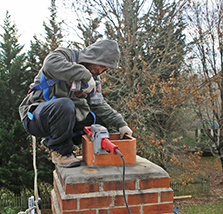 At High’s Chimney Service, we strive to serve our clients by offering competitive masonry and chimney lining repairs and cleanings. We are dedicated to our craft and customers, which is why we offer superior services that you can trust. 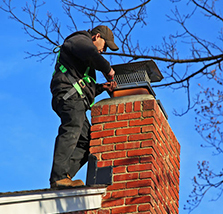 Our experience and dedicated employees set us apart from the rest, allowing us to provide you with safe and effective chimney repairs. Whether you are looking for a gas fireplace repair in Prince George’s County, MD or a wood burning stove in Fairfax County, VA, we are sure to provide you with honest services that better your property. Easy - A smooth process to make the appointment, with quick response times. No waiting for weeks or months for an appointment. Experienced - You won’t get some “newbie” practicing on your house. Our men know what they are doing. The lead man on the job is always a Certified Chimney Sweep. 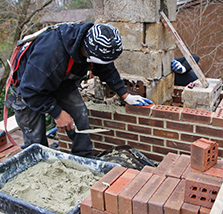 Specialists - The masonry work and chimney lining work are handled by crews who specialize in that work. You don’t get a “do-it-all-guy” if you need a specialty job done. Trustworthy - High’s Chimney employees wear identifying clothes, carry photo IDs, and arrive in company-marked vehicles. You don’t wonder who you’re letting into your house. Fast - You have other things to do, so we work efficiently. High’s Chimney sends two men per truck. This means we work more safely, as we finish more quickly. Value - Our prices are remarkably competitive. Anyone who charges less is delivering something less We run a tight ship at High’s Chimney. Punctual - We have over a 97% on-time arrival rate. If we do run late, we’ll call you so you don’t wonder what’s going on. You don’t waste time waiting. Honest - We have a strict company policy never to sell unnecessary services. 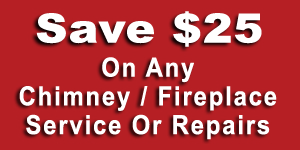 If your chimney does not need to be cleaned, we tell you so and charge only a trip charge. 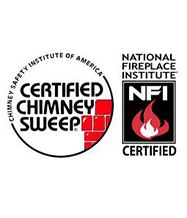 If you are interested in learning more our comprehensive chimney services, such as our chimney sweep in Washington, DC, contact our company today at (301) 519-3500. Our specialists would be happy to answer any questions you may have regarding your upcoming appointment. We proudly serve clients throughout Virginia, Maryland, and Washington, DC.